All around the world people are beginning to realize the benefits of cannabinoids such as cannabidiol (CBD) and tetrahydrocannabinol (THC). THC is responsible for the high many user’s experience when they smoke marijuana, but CBD has no psychoactive effect when consumed, vaped or applied with a CBD lotion. High-quality, premium, full spectrum CBD lotions are being used across the United States for a variety of different reasons. When you purchase any CBD lotion, it’s important that you purchase from a reputable company such as Koi CBD. All the products at KOI CBD, including the CBD lotions, undergo a rigorous quality and control routine and are 100% backed up by laboratory testing. 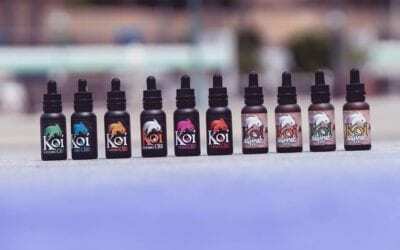 All the CBD products at Koi are full-spectrum CBD. This means you’re getting a complete product which contains many of the other cannabinoids found in cannabis. CBD and other cannabinoids interact with the endocannabinoid system in our bodies. Our endocannabinoid system is responsible for maintaining harmony and balance. The cannabinoids interact with different receptors which are spread throughout the endocannabinoid system. There is a reason that CBD and other cannabinoids have been used for thousands of years for a variety of different medical reasons. It was only recently that cannabis was classed as a narcotic, but over the last decade, that has all started to change. The topical application of CBD lotion makes it a great choice for people that don’t like to use CBD vape juice or ingest CBD oils. CBD Lotion as an Anti-Inflammatory – We already understand that all people have an endocannabinoid system. What we are only just learning now is that CBD interacts with the endocannabinoid system (ES), to help with inflammation that is the underlying cause for several different conditions. People who have skin conditions such as eczema and psoriasis could all possibly benefit from CBD lotions. CBD Lotion for Acne – One scientist, Tamas Biro, from the University of Debrecen, has been researching how CBD lotion could help reduce the skin’s oil production and help people suffering from severe acne. His research shows that CBD increases the amount of calcium, which reduces the number of lipids (oils) which are produced. Less oil production at a cellular level could help patients that suffer from very hard to treat acne. CBD Lotion for Pain – It’s hard to believe that over the last century we have turned back to a traditional herbal remedy that has been used for thousands of years to treat pain and inflammation. The National Academies of Sciences, Engineering, and Medicine review of research found that CBD lotions could have a positive effect on the management of pain. CBD lotion is showing a lot of promise for conditions such as arthritis. If you have any questions about CBD lotions, then please don’t hesitate to contact us. Our friendly and professional team is more than happy to help.